Thus begins ‘Moot Moot’. 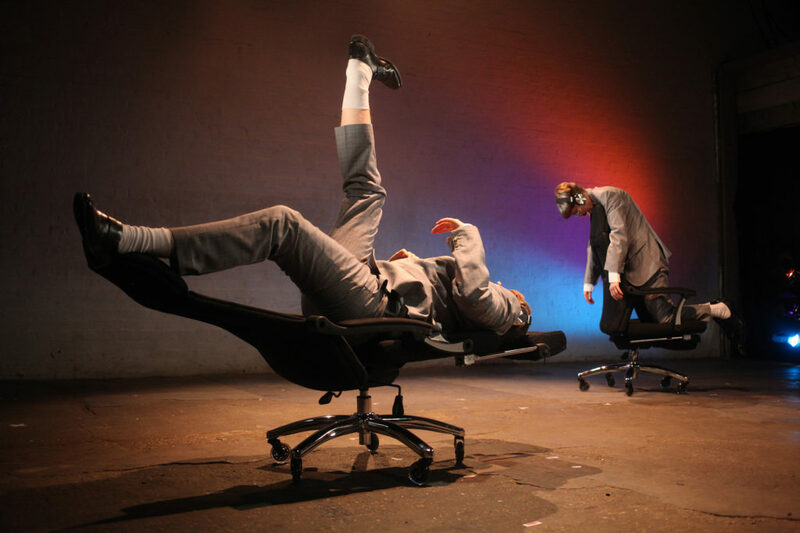 With identical buzzcuts and grey suits, Rosana Cade and Ivor MacAskill (also the creators of this piece) are Barry and Barry, hapless hosts of a call-in talk show complete with hyperbolic goofy sound effects and spinning office chairs. Despite it being “all about you and you-ou-our opinions”, no one is calling in. In this absence, what are Barry and Barry to do? The answer is: not a lot. Or at least, nothing interesting. Wearing headphones and microphones electronically distorting their voices, Cade and MacAskill use the repetition of banal phrases and musical interludes to desperately cry out for opinions, any opinions. It’s all a surreal spectacle: at times funny, at times worryingly hollow. Is the point that we are Barrys in our own way, seeking other people and their thoughts to fill a void in our own lives? Are we supposed to be bored? Is it this boredom with what we are witnessing that is meant to jolt us into action? Who knows. Despite there being a fair number of the audience gamely laughing along, the piece reaches towards absurdist comedy but never really gets there. Laughter, in the end, comes at the expense of what’s on show. It tiptoes into “is this really happening?” territory, so much so the audience members’ reactions become more interesting than the Barrys messing around on stage. We don’t care enough about these (what I would dare call) ‘characters’ to be moved by their desperation and loneliness, and leaving the space becomes a relief in a number of ways. Azusa Ono’s lighting design is by far the most visually arresting aspect of this show, with graceful fades, subtle colours and clever spatial structures created by light. 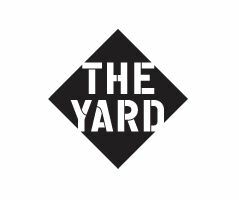 The Yard Theatre, on a similarly positive note, is an open and versatile space obviously not afraid of taking risks and programming work that challenges as well as entertains. At the end of the day though, Barry and Barry’s headphones take on a neat symbolic value: they hear each other, but not us. Does this extend to Cade and MacAskill? Have they found here a comfortable echo chamber for themselves? These two artists could do a lot more to dispel notions that inaccessible ‘art’ can be found in disused warehouses in East London and could strive next time to say something that really matters. Is this good? No.